The color pink is "just because." The full explanation is here. The race takes its name from the park icon, Monkey Face. The runners made a pair of counter-clockwise loops for the half marathon. It climbed more than 900 feet between the start and the mile 2 marker. 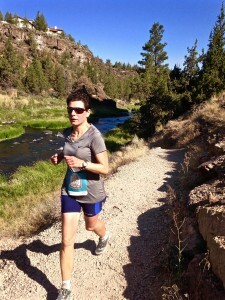 The run/walk 4 Milers did the Misery Ridge Loop. Wondering how you or one of your friends did? Check it.